So I meant to continue the beery tour up North on the blog today, but that ain’t gonna happen just yet. As a reward for actually doing some housework today, I was allowed to head up to Bitter Virtue for a tasty beer. In an effort to be less biased to Northern beers (which by the way I still consider to be best), I was on the look out for another local brew. 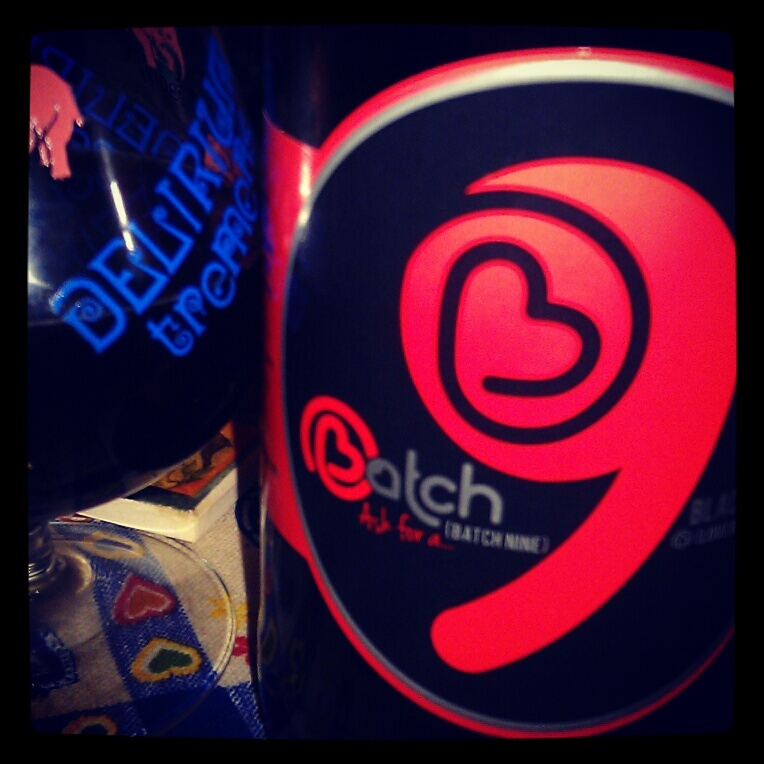 Luckily, there’s another new brewery down our way and this one promises to make us ‘Love beer (again).’ Based in Winchester, Batch Brew is a microbrewery which so far only has one beer out, their flagship black lager known only as, Batch 9 (5%ABV). Although it’s a local bottle conditioned ale, I was at first slightly suspicious. I had heard a rumour that it was a contract brew by Oak Leaf although I could find absolutely nothing about this on the internet and doubt it’s true. The bottle’s incredibly slick-looking for the first output from a young microbrewery and even features a food-pairing recommendation from their chef/taster/resident beer fan Maria. It’s refreshingly modern and I love the heart logo! On their very polished website I would have liked to see some information about the actual brewery though, but that’s because I like to find out about the different approaches brewers take in their methods and ingredients. Even though the actual brewery is fairly mysterious, this beer speaks for itself. Don’t let the word ‘Lager’ put you off. It’s a Black Lager so it’s more similar in style to something like Budvar Dark than Carling! It’s fairly opaque black but has a thin but refreshing mouthfeel. It’s got a lovely dark roasted chocolate malt flavour and a short dry, slightly hollow finish. It has a malty aroma with a little hint of candy sweetness. I’ll be very interested to try future batches. In the pipeline they have 24 (a ‘Robust Porter’) and 50 (an ‘IPA’). Very exciting to see another up-and-coming micro on our doorstep! 3. Their team don’t seem to have any other connections with brewing according to the internet. It all looks like a slick marketing operation. The end product is very good, but is it simply a modern re-badge of Oakleaf to appeal to a different audience? Also, I didn’t think to look at Facebook but I’ve just seen the Oakleaf picture. I’d prefer breweries to be honest! Well I assume the head brewer at least has some experience and the director’s uncle used to homebrew…that’s more experience than some other brewerys have! I’m wondering if perhaps its just bottled in Oakleaf, hence the pics? the pictures on the front page are generic stock photos as oakleaf don’t have copper vessels and I doubt batch brew do either!